Disclaimer: Although I don’t like the Apple Watch in its current form, I am actually quite bullish on the future of wearables. My company works on products that make communicating with family and friends more fun and convenient and we’re excited about the potential of wearables especially for our industry. 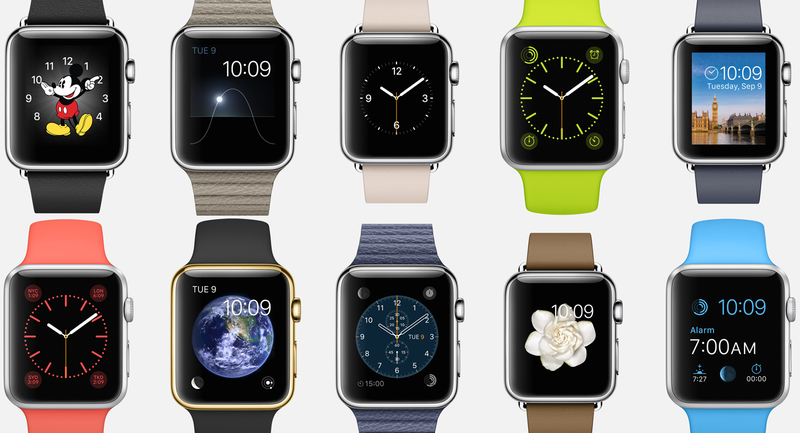 Without further ado here are the top ten reasons why I believe the Apple Watch will fail. If you neglect to design for the next generation, it will be difficult to achieve mass adoption. Many youngsters don’t like the idea of wearing a watch, let alone a shiny bulky phone on the wrist. Also until the watch become as fashionable as other accessories I feel it won’t be appealing to most women in general. And not to say that kids won’t start wearing watches, it’s just increasingly unlikely to see youngsters jump on the Apple bandwagon and massively adopt something that is so uncomfortable or alien to them. The Apple Watch is an extension of the iPhone instead of a replacement. Whenever new devices have been pioneered, they all had killer features that defined their use and weren’t just a repackaged device. The mobile phone let you call people, which you couldn’t do on laptops. The laptop let you work while being mobile, which desktops couldn’t let you do, and desktops let you play games and operate software from home that mainframes couldn’t let you do. Tiny screens should not be used for everything. Such a small screen should ideally do only one or two things really well. I can’t think of writing a novel (or even this post) on my iPhone, just like I don’t want to respond to email on my watch or read utterly tiny text notifications. Keyboards are useless on the watch, and voice controlled Siri is still buggy. What can it do? Every new major device that has succeeded has been a standalone. Again, the mobile phone didn’t need your laptop to work, your laptop didn’t need to be hooked up to the desktop. The Watch needs to be a standalone device in order to succeed. Imagine charging multiple times a day. Some would argue that since we do it already for our phones, we will have to accept doing it for our watches. However the watch is worn, it is an additional inconvenience to take it off each time, while the phone can be charged while on the go and still be next to you. Until we have widespread wireless electricity I don’t see this working out well for Apple. The wristwatch replaced the pocket watch because it was more convenient and faster to tell time. Glanceable doesn’t work when each time you glance you need to flick your wrist or tap it to unlock or wake it up first. When the display is so tiny, and when you want the device to be a replacement for the iPhone and do everything under the sun, you end up trying too hard to innovate on the interface. Single tap, double tap, long press, deep press, hard press, digital crown, crown scroll, crown click, double press. Too. Much. Interface. On my iPhone I tend to get notifications for emails, messages, tweets, etc. Although I have recently made a move towards reducing the amount of notification noise I receive, imagine it all on your watch. If I get a constant barrage of notifications on my wrist which either vibrate the hell out of my hand, or annoyingly chirp all the time while I’m doing other stuff, I think I would end it all. Receiving notifications, messages and even calls is all good, but its when you try and respond that it becomes an issue. Without a keyboard and with buggy voice commands the Apple Watch ends up being a one-way street. WatchKit is too limited right now, and Apple didn’t really consider the ecosystem when designing the Watch. Out of the top 100 apps on the App Store right now we will probably see less than 10% of them for the Watch upon launch. Also Apple’s walled garden approach won’t work forever, restricting the watch to work with only iPhones will also be a major thorn in mass adoption.